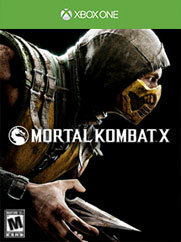 Game Description: Fueled by next-gen technology, Mortal Kombat X combines unparalleled, cinematic presentation with dynamic gameplay to create an unprecedented Kombat experience. For the first time ever, Mortal Kombat X gives players the ability to choose from multiple variations of each character impacting both strategy and fighting style. And with a new fully-connected gameplay experience, players are launched into a persistent online contest where every fight matters in a global battle for supremacy. Players step into an original story showcasing some of the game’s most prolific characters including Scorpion and Sub-Zero, while introducing new challengers that represent the forces of good and evil and tie the tale together.